I've got to ask, why is a cheap EVSE the tipping point to being the reason you add a 220 to your garage? 1. Weekdays I rarely drive over 5 miles, so the L1 always has me fully charged every morning. 2. Sheer laziness Since the L1 had me covered, never even looked at installing L2. I was lucky, my garage had 2 (220v) outlets when I bought it, and my entire (100 year old) house's electrical system was updated with a pretty beefy system, not usual for historic homes in my area. When we install solar this month, I'll be adding a couple more 220's further back in the garage so I wont have to back in anymore. The solar guys are adding the additional 220's for the cost of parts since I already have much of the infrastructure in place. Have you checked out what you need to get 220v running? If you have a breaker nearby, it might be a very cheap upgrade. If not, that price can skyrocket depending on what upgrades you need. I work from home, and drive all over town to drop kids off, grocery runs, ect.. L2 made sense for me since I'm able to drive 20 miles, charge, drive 10 more, charge, repeat. Also, my garage is detached, and not the best insulated. 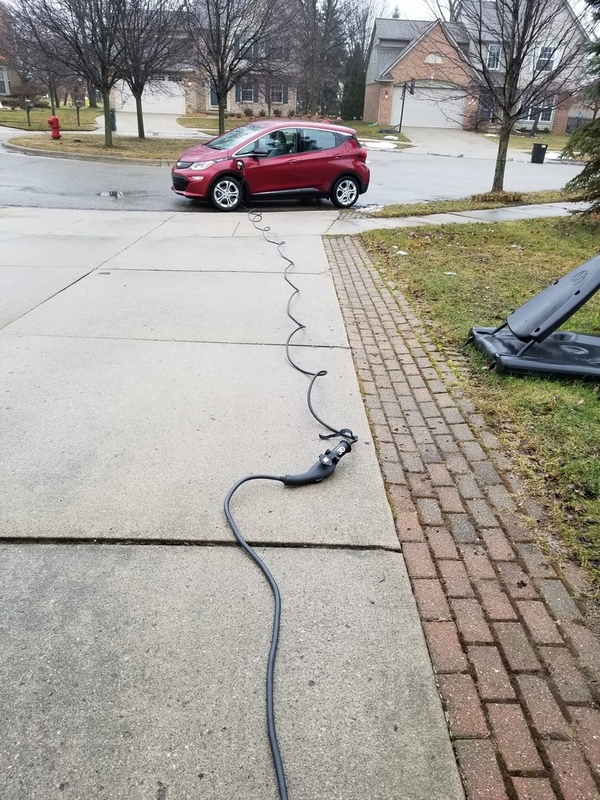 Having my EVs plugged overnight keeps the batteries warm and happy in this polar vortex when its -25 outside (25 inside). Having an L2 was a lifesaver for me when I had the FFE. I would plug in at home after work and by the time we finished dinner we had enough charge back in the car to do the evening's activities. Here's a link to some adapters. All you need is to purchase one of these puppies and you can plug your 110v EVSE into a 220v outlet and charge at 220v 12A. Zero modifications. I'm going to look into building my own adapters, it doesn't look too complicated. These are the exact same EVSE's as the Chevy Volt uses and its a pretty popular "mod" with lots of testing over the past 3 years. There's a thermal sensor in the 5-15 plug, so there's no risk of overheating.